Revenue from Airbnb’s China division is expected to climb by more than half to roughly USD 130 million in 2018, representing 4% to 5% of the company’s overall revenue. Jan 15, Airbnb announced its second straight year of profitability on an adjusted basis, said in a memo that it generated earnings before interest, tax, depreciation and amortization in 2018, without an exact figure. As one of the companies ready to go public in 2019, Airbnb has posted USD 100 million in profit on USD 2.6 billion in revenue in 2017. The company values USD 38 billion, up from USD 31 billion in 2017. Revenue from Airbnb’s China division is expected to climb by more than half to roughly USD 130 million in 2018, representing 4% to 5% of the company’s overall revenue. On the other hand, the company expected to lose a manageable USD 20 million from its China business overall last year, reported by The information. Many would say foreign giants just cannot beat local equivalent in China, and look at how Uber burned 2 billion and ended up exiting in 2016 in exchange for 17.7% share in DiDi, which is valued at USD 56 billion now. It’s a deal worth more than USD 9 billion. Airbnb witnessed chance in China’s home-sharing market in mid-2014 and started building the team in mid-2015, and the branch has 150 employees, 60 of which are working on the product, 40 are hosting community operations, others are in charge in marketing team, public policy and so on. Airbnb China is the only product team outside of the U.S. At the end of 2016, the separate entity has about 30 employees and plans to increase the amount to 300 staffs in two years, a little bit aggressive plan compared to situations nowadays. Airbnb has been struggling to find a suitable person to be chairman for this worth-invested region once, who needed to have international experience, knows local markets and would not balk at reporting to bosses in far-off San Francisco. July 2018, PENG Tao (彭涛) was named as president of Airbnb China. Nathan Blecharczyk was appointed as chairman of Airbnb China in Oct 2017, also Airbnb’s co-founder and chief strategy officer. Lack of autonomy, one of the reasons baffling former Airbnb China head GE Hong (葛宏), is just the other side of a coin because for Airbnb, doing business in China is never separated with its main business. The company saw some users booking a room via Airbnb and listing their personal room when they finish the trip. It happens in China, too. More importantly, the California-based home sharing giant can justify their expenses and costs based on outbound revenues, which their Chinese contenders cannot compete for it. Euromonitor says Airbnb generated USD 1.8 billion in retail value RSP (Retail Selling Price) – a common tourism industry sales metric - in the Asia Pacific in 2017, reported by Business Times. Starting from zero and urging to fit in China, Airbnb China, or “Aibiying” , one that translates as “welcome each other with love,” abandoned Facebook and Google service, chose to work closely with Tencent and Alibaba, allow users to log in through their WeChat account and pay with Alipay. Zhima Credit, a credit scoring product provided by Alibaba, improves trust and safety. As soon as the company added Alipay, their business increased 15% overnight, according to Nathan Blecharczyk in an interview with GGV Capital in April 2018, one of its backer. Airbnb also worked on promoting Guilin, a southern city in China, to the whole world with local officials. March 2018, Airbnb notified their Chinese landlords that the company was allowed to provide their information for Chinese government without further notifications. Rumors have told Airbnb had talks with Tujia and Xiaozhu for possible acquisitions, which turned out failing. In the Tujia case, Airbnb would have owned 70 to 80 percent of the China business, with Tujia owning the rest. Tujia admired Airbnb’s resource outside China which could distinguish it from others. In Xiaozhu case, CHEN Chi (陈驰), the cofounder and CEO of Xiaozhu, said the two companies did have talks on business development and technological cooperation but never moved to capital cooperation, in an interview with Tech Node. 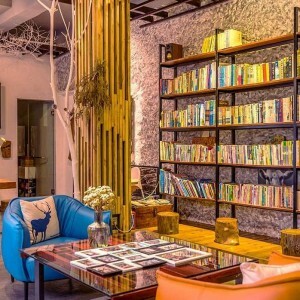 Founded in 2011, Xiaozhu secured USD 300 million from Alibaba Group-backed Yunfeng Fund, CHEN Chi indicated that even the short-term rental industry has been accelerating, but the company still facing fierce competition from hotels in the interview. A spokeswoman for Xiaozhu said it expects its transaction value to increase by 280% in 2018 to more than USD 1 billion. Tujia is now valued at USD 1.5 billion after its series E round funding of USD 300 million led by Ctrip in Oct 2017. According to Bloomberg, Tujia generated less than USD 2 million revenue in the quarter ending in June 2016, and the value of transactions through the site reached USD 22 million during that same quarter thanks to about 1% of Tujia’s listings are occupied at any given moment. The company emphasizes on traffic and transaction number. Volume is utmost important whereas revenue is misleading. FENG Linyan I cover Auto, Logistics, and AI tech in China. Xiaozhu.com is a platform for online communication and transactions for landlords and tenants. Sink or Swim for WeWork Labs in China? Does Atour Group Have the Keys to Hotel Success?